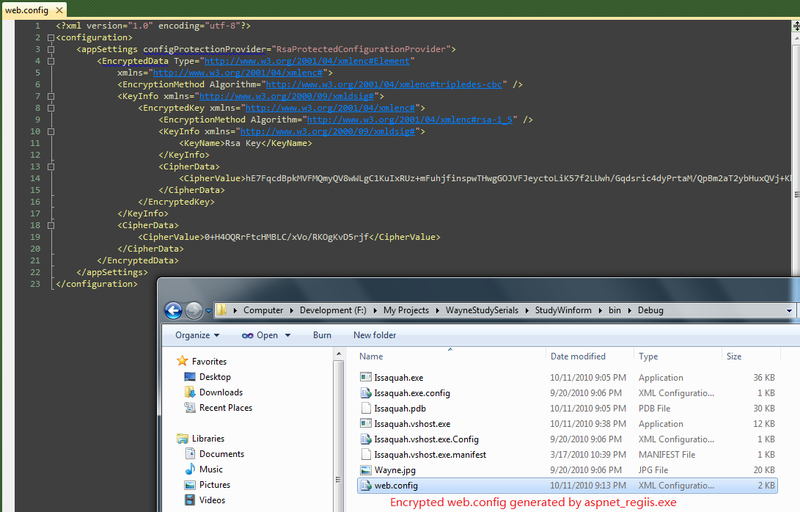 Under some scenarios the developers want to encrypt some sections inside app.config or web.config file, this article How To: Encrypt Configuration Sections in ASP.NET 2.0 Using RSA describes how to do so clearly, Scott Guthrie also posted one: Encrypting Web.Config Values in ASP.NET 2.0. 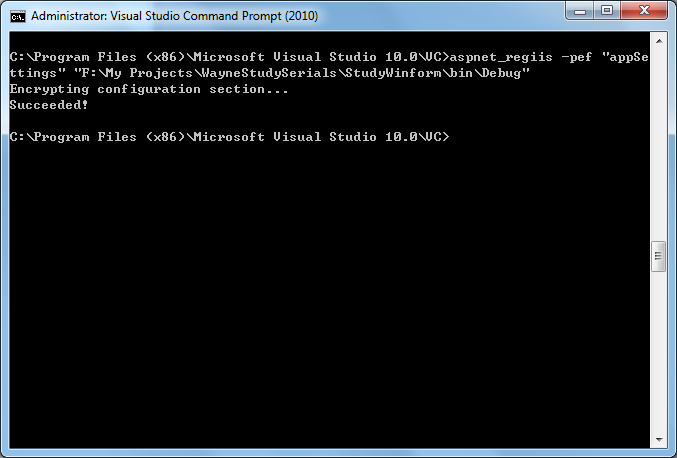 However, in the posts above they uses aspnet_regiis.exe and seems it doesn’t directly support app.config, if we want to encrypt app.config for Windows Form or WPF applications, while I tried use it to encrypt my app.config file, it generates a web.config which means my Winform definitely can’t use it, even if I copy the encrypted appSettings section from this generated web.config to my own app.config (ConfigurationManager.AppSettings[EncryptedKeyName] is null after I did that). // Encrypt this section by using security provider (RsaProtectedConfigurationProvider or DpapiProtectedConfigurationProvider).